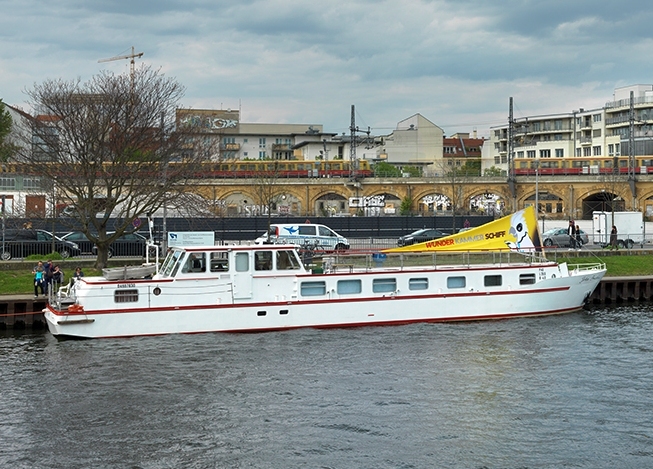 The Wunderkammer Ship, the MS Franklin, is a kind of mobile museum space that travels the waterways of Berlin and Brandenburg, providing access to art and cultural education to as many children as possible. The project was nominated for the BKM Prize for Cultural Education in 2017. 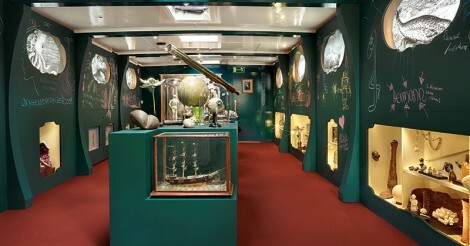 The on-board collection presents unique and historical objects from the realms of science, nature and art, as mysterious as they are exotic, to inspire wonder and fascination in children. For instance, the narwhal’s horn, which 100 years ago was thought to be proof of the existence of the legendary unicorn; a four-thousand-year-old meteorite or a preserved crocodile, a classic feature of every Wunderkammer. Children can do more than just look at these rare and fascinating objects – they can also touch them, grasping them in every sense of the word. We place great emphasis on the fact that children are guided through the collection by children who are specifically trained to accompany their peers through the interactive activities, instead of them being led by adults, as usual. Visiting the ship is the high point of a comprehensive multidisciplinary programme (natural sciences, German, art, social studies) for inquisitive school groups. Preparation and post-visit activities can be conducted by teachers in the school within six lessons with the help of ship logbooks provided by us. The goal of our programme is to encourage teaching staff to make museums visits an integral part of children’s education, and to make the museum more accessible as a space for knowledge, exploration, and cultural debate for their pupils. Thr project is a collaboration of the Olbricht Foundation and the Helga Breuninger Stiftung.